The newest feature involves a 'world lens' that overlays photos and videos taken with the outward facing camera with fun 3-D graphics sponsored by a particular brand. 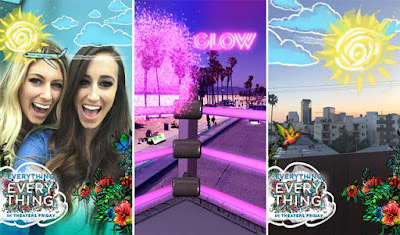 Also in the works are new and improved geofilters that would allow brands to tap into their smart geofilters based on real time location information. Some other exciting news for brands who want to partner with Snapchat? They can now sponsor lenses based on age, gender and what content people look at, which means consumers are only served relevant options and the brand gets a more engaged audience. An improved experience for brands AND for users? Now that's a win win! I'm 14 and I feel so moderate in light of the fact that the greater part of the general population my age basically live on it.assignment help uk I'm into generally Instagram and vine and the majority of that stuff however I never truly comprehended snap talk and how u use it. When you take Programming Assignment Help, you can complete all the assignments and submit them before the deadline without compromising the quality of the assignment, this provides the extra push to score better marks compared to those with whom you are competing.